You can log in to your SkyVault360 account by going to www.livedrive.com/login and signing in with your SkyVault360 email address. When you signed up for SkyVault360, you received TWO automated emails: the first one came instantly and confirmed that you signed up for an account. The second came later once your account had been created. If you did not receive that email, please check your Spam folder for an email from contact@skyvault360.com. That second email will contain your login information. 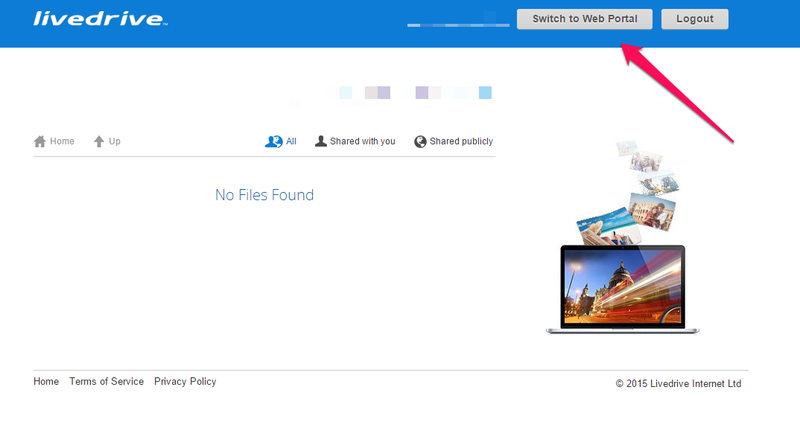 When you get to your portal, you'll see a message telling you that you are not sharing files. Feel free to ignore it! Instead, click the orange Login button in the top right corner of the page. Congratulations, with this information you're now signed in! You can now download the software or view your files. copy of the program and use it with my plan ? Thank you for getting in touch with us, we received your comments and have already sent to your email the detailed steps to follow to download the program and having everything ready to continue using your account without any problem. If you need any other support or have additional questions, please let us know to gladly help you!